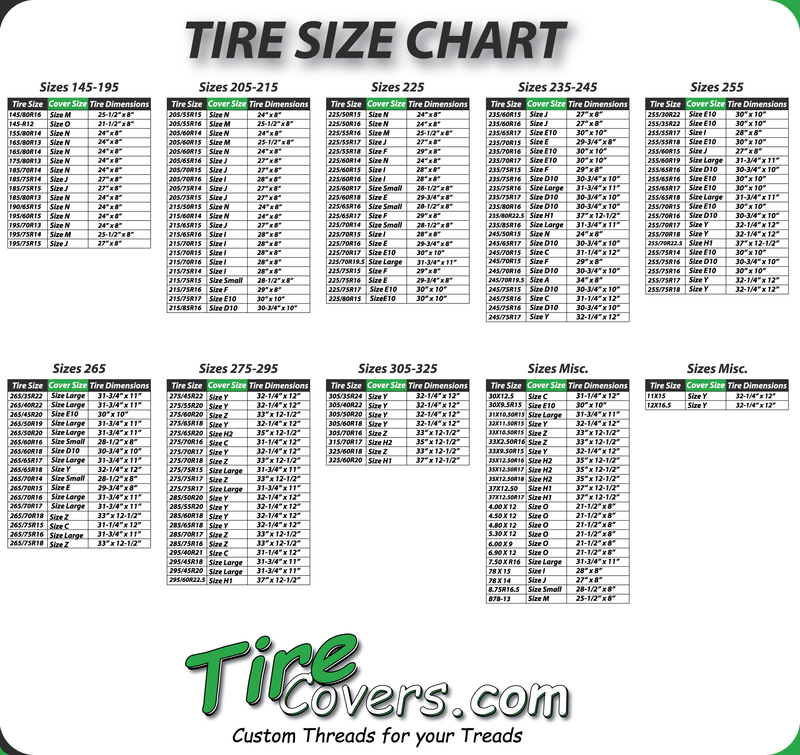 Officially licensed NCAA Sports Team Tire Covers with the newest approved logos from all universities and colleges that we are legally licensed to make and distribute. We have all the major NCAA colleges so that you can show your support on your spare tire cover with your favorite school, university or college. Look great driving around town supporting your favorite college team with a tire cover. Perfect for your Jeep, SUV, Trucks, VW Vans or Trailers. You can trust Tire Covers .com because we make the latest University logos that are approved and best of all we use the best quality materials on the market and they are all made here in the U.S.A. When you order your favorite college tire cover we make it from scratch. The care and attention that your product get while its being made is second to none.